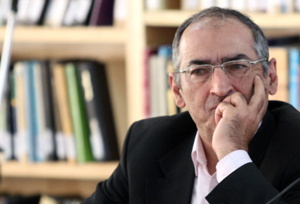 Even in case no deal is cut on November 24 in Vienna between Iran and P5+1, Iran’s nuclear talks will not go back to where it was, says Sadegh Zibakalam, a political analyst. Many years ago when I was studying chemical engineering, there was a subject on elastic properties of some materials such as rubber bands which are so elastic that even after being stretched they return to the point where they have been. But when they are overstretched, they won’t return to their original point after being released. The elasticity in question reminds me of our nuclear dossier. 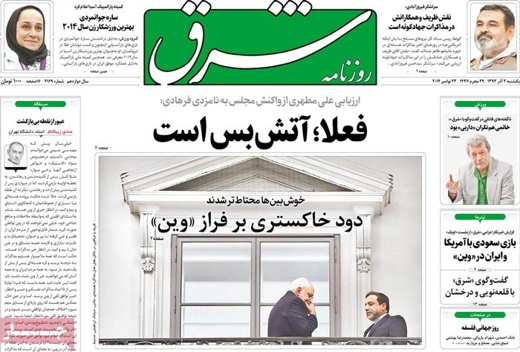 Aside from a small number of individuals who are not much willing to see a deal cut in Vienna because of their partisan considerations and interests, many of my fellow Iranians have been following the news coming out of ongoing nuclear talks in Vienna with curiosity, enthusiasm, hope or even fear. A considerable number of Iranians including poor, rich, young, old, educated, uneducated, businessmen and civil servants wait for news about the outcome of nuclear talks with fear or hope. Interestingly, we all hope that the talks between Iran and P5+1 produce results and finally untie the more-than-a-decade-old nuclear knot. All Iranians and those who want to hear good news from Vienna negotiations should be told that we hope that following 15 months of marathon talks, anticipation and patience, news about a final deal will finally emerge from Vienna. Nonetheless, it is possible that agreement over some key differences might not be reached and the much-expected general deal might not be struck. Although such a prospect seems unpleasant, it is a relatively serious possibility. The important question here is “What if it is declared that a general deal has not been clinched?” Would the failure to cut a deal on November 24 mean that the talks have failed and Iran’s nuclear dossier will remain open? The present analysis seeks to answer that question in the negative. Some at home might argue that President Rouhani and his negotiating team have wasted 15 months and caused Iran’s nuclear programs to miss out on invaluable time to make progress. 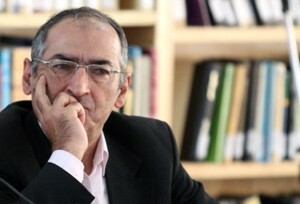 They might make other critical comments along these lines; similar to numerous comments made after the principlist government of Mahmoud Ahmadinejad rose to power in 2005. However, if no deal is clinched on November 24, it would not mean that the talks have been inconclusive or that they are gridlocked. As a matter of fact, the last 15 months have been positive. Our nuclear case is similar to the subject of elastic materials in chemical engineering. Even if no deal is struck in Vienna, Iran’s nuclear case has reached a point that it will not return where it was before the 11th government came to power.